The Eatonton Cotton Warehouse has become one of Georgia’s Lake Country’s preeminent destinations for entertainment. Originally called the J.R. Griffen Cotton Warehouse when it was built in 1902, the building is rich with history that adds unique atmosphere to any event held there, from concerts to wedding receptions, even plays. Stew Aaron, owner of the facility, hopes the Cotton Ware-house will play a significant role in revitalizing the entire downtown Eatonton area. “We are working aggressively to make the Cotton Warehouse a destination location for entertainment,” he says. “That’s our focus. Particularly music acts. 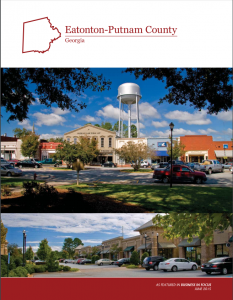 In 2018, we’ve already got committed bookings for seven concerts, and we expect to add more.” He, along with manager Dan Lowery, believe major events held at the Eatonton Cotton Ware-house can serve to attract people from surrounding communities outside of Eatonton and Putnam County — places like Monticello, Monroe, Madison, Milledgeville, Greensboro, and Athens. “What’s going to get me to leave my house on a Friday night?” Lowery says. “An event center will do that. This is a community center bringing highly credible entertainment for a reasonable price.” Jake Bartley Band from Greenwood, SC will be performing this weekend on July 14th at 8:00 p.m. — don’t miss it! And comedian Henry Cho is sure to deliver plenty of laughter to the Eatonton Cotton Warehouse audience on August 11. Other examples of the kind of high-quality musical entertainment the Eatonton Cotton Warehouse has brought to Eatonton this year are Grammy-award winning country music artist Bryan White, as well as Yacht Rock Schooner, and The Swingin’ Medallions (who will be returning by popular demand on October 26). But the facility is much more than a performance venue. When the 9,200 square feet building was renovated, along with adding important amenities like a climate-control system and restrooms, a catering kitchen and a bridal room were added to make the facility a fantastic location for wedding ceremonies and receptions. 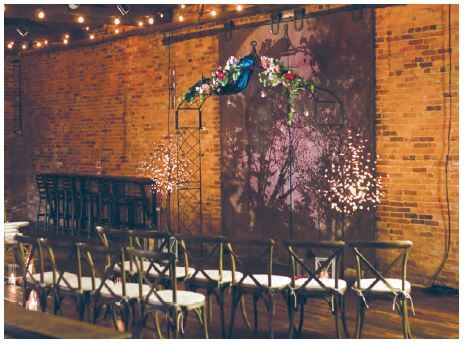 Accommodating up to 615 people, the Eatonton Cotton Warehouse can be rented for private company events, sorority and fraternity dinners, proms, and much more. An entertainment area with stage lighting was also added. You can also follow the Eatonton Cotton Warehouse on Facebook, Instagram, Twitter, and other social media platforms.